Oxford University Press, USA, 9780199675654, 320pp. Mutualisms, interactions between two species that benefit both of them, have long captured the public imagination. Their influence transcends levels of biological organization from cells to populations, communities, and ecosystems. Mutualistic symbioses were crucial to the origin of eukaryotic cells, and perhaps to the invasion of land. Mutualisms occur in every terrestrial and aquatic habitat; indeed, ecologists now believe that almost every species on Earth is involved directly or indirectly in one or more of these interactions. Mutualisms are essential to the reproduction and survival of virtually all organisms, as well as to nutrient cycles in ecosystems. Furthermore, the key ecosystem services that mutualists provide mean that they are increasingly being considered as conservation priorities, ironically at the same time as the acute risks to their ecological and evolutionary persistence are increasingly being identified. 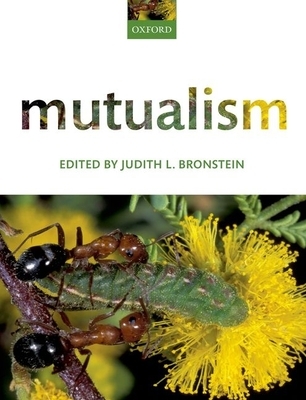 This volume, the first general work on mutualism to appear in almost thirty years, provides a detailed and conceptually-oriented overview of the subject. Focusing on a range of ecological and evolutionary aspects over different scales (from individual to ecosystem), the chapters in this book provide expert coverage of our current understanding of mutualism whilst highlighting the most important questions that remain to be answered. In bringing together a diverse team of expert contributors, this novel text captures the excitement of a dynamic field that will help to define its future research agenda. Judith L. Bronstein, Professor of Ecology and Evolutionary Biology, University of Arizona, USA Judith L. Bronstein is University Distinguished Professor of Ecology and Evolutionary Biology, with a joint appointment in the Department of Entomology, at the University of Arizona. She has published over 100 papers, primarily on mutualism; in addition to her studies on pollination and protection mutualisms, she has worked to develop a conceptual framework for this field since receiving her PhD. An award-winning instructor, she teaches ecology at both the undergraduate and graduate levels. She is currently Editor-in-Chief of The American Naturalist and Advisory Editor for Oxford Bibliographies Online: Ecology. She received the Distinguished Service Award from the National Science Foundation in 2008.